But that qualifier, “well-organized”, is an important one. Because a poorly-organized field trip can be an expensive, stressful disaster that leaves the participants eagerly awaiting the ride home. Personalized tote bags with your school logo or design is one way to keep teachers, chaperones, and students or campers organized, motivated and ready to take on a full day of sightseeing and activities. Here are some tips from experienced experts to help you put together a successful, organized field trip that everyone will enjoy and remember forever. We’ll start by borrowing a maxim from Steven Covey’s bestseller,7 Habits of Highly Successful People. To “begin with the end in mind” means to begin planning with a clear understanding of exactly what you’re hoping to accomplish and how you’re going to define success. So, in the case of a field trip, you may have a particular educational goal in mind. For religious groups, it may take the form of a pilgrimage of sorts. Expert Tip: While the goal of the field trip may involve a specific destination, such as a museum or historical location, in some cases the trip itself is the point, such as a backpacking and camping retreat designed to bring the members of a youth group closer together. Whatever the details are, it’s important to begin planning and organizing with a thorough understanding of what you want and need participants to get out of the trip, and a clear plan in mind to accomplish that goal. It’s usually best to handle this step with as much input and help as possible, since other members of your group may have creative ideas or experiences they can share that you would have never come up with on your own. With your goals clearly outlined, consider the possible destinations, trip details, and associated planning needed to make them a reality. With a number of possibilities fleshed out and documented, give serious consideration to things like your overall budget, time constraints, and the availability of the venue or activities you’re considering. Expert Tip: It’s important not to strictly limit the brainstorming process early on, so as not to miss potentially excellent ideas. But once practical limitations are considered, it’s important to keep the conversation on track, too. Then, with input from all who are in a position to make a decision on the matter, discuss all the options and settle on the one that best supports your initial goals for the trip while meeting the practical requirements set by the budget and other factors. This should provide you with the very best option to pursue as you build your field trip itinerary. If the school or church is covering the costs, make sure you obtain the necessary permissions internally to access and use the funds needed for the trip. If participants and/or their families will be paying some or all of the cost, you’ll need to put together a detailed budget and include a bill for whatever portion each individual needs to pay along with information you’ll be sending out to participants prior to the trip. Accurate bookkeeping is vital to ensure proper funding and reporting of the field trip. If you are bringing a group of minors on a trip, it’s vital to get the permission of their parents or guardians on a legally appropriate permission slip. You may want to also consider forms that address to what extent the organization sponsoring the trip is responsible for items like injuries, lost or stolen property, and the like. Unless this is the very first field trip your school or church has ever sponsored, boilerplate forms may already exist for these purposes. Expert Tip: To the extent that’s possible, it’s best to put together a bag of supplies for each traveler that includes small items they’re likely to need during the trip. That way, everyone has at least the basics and you won’t have to rely on each individual thinking of everything on their own. 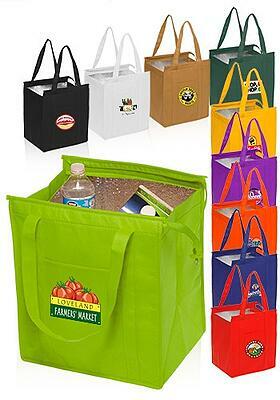 One clever and beneficial option many field trip organizers have used is designing personalized tote bags to be filled with needed supplies and handed out to each traveler as the trip begins. With custom personalization, this practical item can double as a creative souvenir commemorating the trip itself. And don’t forget about meals. 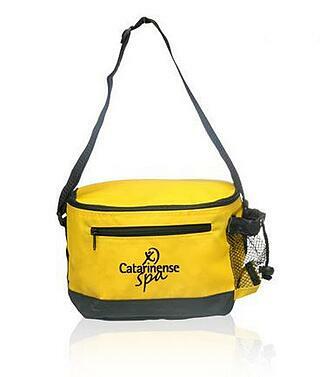 Insulated lunch bags are perfect for keeping lunches cool while travelers are on tours or participating in activities. It’s likely there won’t be a refrigerator nearby, especially one that’s large enough to store everyone’s lunches, so you’ll want to consider something with insulation to keep food fresh. There are a lot of moving parts involved in a successful field trip, so it’s important not to rely on just one conversation, email, or text to be sufficient in cementing any of the arrangements. As the trip draws closer, verify with all parties - the destination, leadership at the school or church sponsoring the trip, the participants, parents, and any volunteer staff that will be assisting - regarding exactly where and when to meet the group, what to bring, and when everyone will be returning. 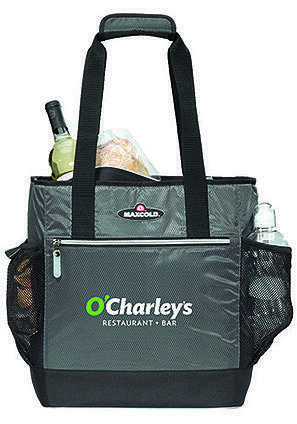 Consider motivating volunteer staff with personalized tote bags with your organization's design or logo, such as this inexpensive non-woven tote. 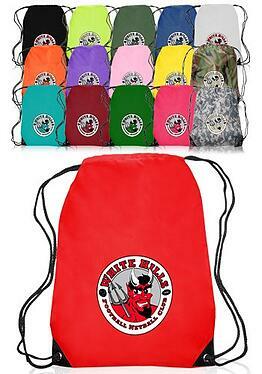 It’s ideal for carrying any extras and it’s reusable. Be sure to have alternate arrangements in place if any aspect of your trip hinges on weather and keep an eye on the forecast as the day approaches. Finally, as you’re getting ready to depart, and throughout the trip, maintain a keen eye on attendance so no one gets lost or left behind. Taking these steps will put you on the path of providing of a well-planned, organized, and enjoyable field trip that participants will no doubt remember forever.